Michalis Kostarakos, the former chairman of the Greek Joint Chiefs of Staff, has lambasted the SYRIZA government over its handling of foreign policy and national issues in a lengthy post on his Facebook account. Kostarakos refers particularly to the recent statements of Foreign Minister Yorgos Katrougalos and his immediate predecessor, Nikos Kotzias, in which they recognise putative rights of Turkey in the Eastern Mediterranean. Kostarakos expressed intense concerns about the references to the “rights of Turkey”. “After the recent statements of Messrs. Katrougalos and Kotzias about ‘the rights of Turkey’, I am truly concerned. 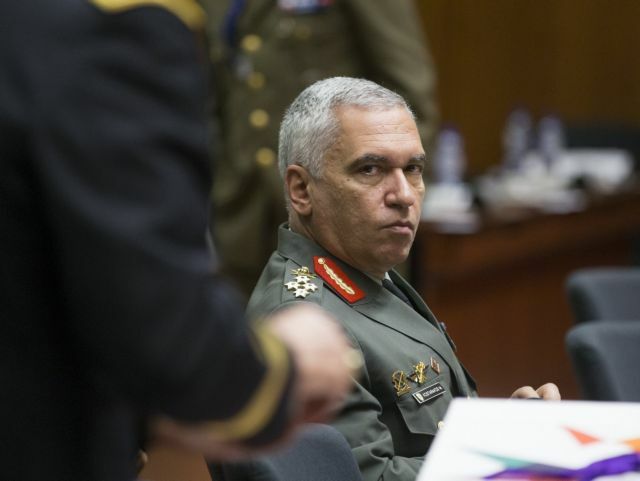 At first I was surprised and then I became very angry, but now I am very concerned as a Greek and as a citizen of this country,” said the former chief of the Greek armed forces. In his post, entitled “The greatest threat to the national territorial integrity of Greece is the SYRIZA government,” Kostarakos unleashes harsh criticism of SYRIZA’s stance towards issues of national import. “The SYRIZA government is a purely partisan government which lacks national sensitivities. It lacks national conviction, national ideals, and national values. National interests are always examined through the prism of internationalism and neo-communism. It feels the needs to pay off debts from the (Greek) Civil War and to implement the internationalist decisions of the Plenum of the then Greek Communist Party (KKE) and of those who before the war were cutting up Greece,” Kostarakos declared. “The SYRIZA government does nothing for Greece. Everything is done for the party and on the altar of the fixed ideas with which they were nurtured, fixations which society has long abandoned. The well-known, traditional logic of the left is that the party is above all. The fatherland and the nation are concepts to which they are indifferent. That is unprecedented and incredibly alarming,” Kostarakos wrote. “Until now, we agreed or disagreed, but we did not doubt the national convictions of our governments. Now we expect the worst, which is irreversible, and we must deal with it in a timely manner and obstruct it,” he declared. “Unfortunately, day by day it becomes ever clearer that the greatest threat to the national independence , the territorial integrity, and the national interests of Greece is its very government,” he added.